As organisations increasingly focus on establishing or maturing their records management programme, managers are experiencing a range of challenges - from defining and beginning the programme to managing the complex involvement of many different functional organisations and ensuring they have the executive support and organisational authority needed to succeed. Historically, managers assigned to difficult or complex initiatives have turned to project management tools and techniques to enable successful management of their projects. It has long been known that project management helps managers to foresee - and then deal with - shrinking budgets, tight schedules and scarce resources. In fact, managers can use these same tools and techniques to successfully initiate and manage efforts associated with the implementation or the maturation of records management programmes. According to the Project Management Institute's A Guide to the Project Management Body of Knowledge (also known as the PMBOK Guide), published in 2004, "A project is a temporary endeavour undertaken to create a unique product, service, or result." A project exists only after a decision has been made to address a specific business need, funding is available to support its execution and measurable goals and objectives are defined. Even though establishing or refining a records management programme is not necessarily considered a temporary endeavour, it does address a significant business need that must be accomplished within a specified time period and it can be run as a project. 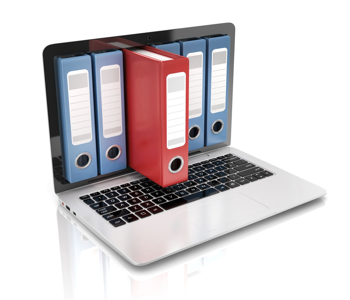 Managers assigned to establish or further nurture a records management programme must consider what is included within their initiative and then determine how to begin, define what needs to be done, determine who will perform the work and agree to a timeline for when work is to be accomplished. Project management ties the resources and components together and enables successful completion of the records management initiative. This includes organising the work into defined phases. Using a phased approach allows the manager to break down the project into workable segments. PMBOK defines five phases for a project, which are referred to as "process groups." These process groups include initiating, planning, executing, controlling and closing and they aid managers in coordinating, managing and controlling their records management initiative. This article explores project management's five process groups and discusses how they can be used to manage a records management initiative. The initiating process begins with securing the support and participation of the entire organisation. The authority for securing this broad support must come from executive leadership, who provide the vision, approve the funds, grant authority to a team of individuals who are to perform the work (also known as the project team) and comprise a steering committee to provide governance throughout the life of the records management initiative. For example, an organisation that has a policy that affects a limited number of records and departments may decide that it must further develop its records management programme. Its vision may be to "establish a records management programme that encompasses the policies, processes and tools that enable the appropriate management of all business records throughout their lifecycle." Using that vision statement as a guide, managers define a scope that provides specific goals, objectives, assumptions and constraints that will enable this vision to be realised. The scope, then, provides the definition of what is to be accomplished. The completed scope statement is reviewed and approved by the records management steering committee. Managers, then, would develop objectives, assumptions and constraints that correspond with accomplishing this scope. Upon securing formal sign-off from leadership, the planning process begins in earnest. Documenting team roles and responsibilities. A records management project team is typically composed of individuals from across the organisation. For this team to function effectively, all members, from leadership to the records management support staff, must clearly understand their individual roles and how they fit within the team. Establishing team communications. Team members are responsible for sharing information and project status reports within their respective functional organisations. The manager enables this collaboration by planning for and establishing a structured meeting architecture, defining a consistent process for disseminating information and creating a team collaboration site. Performing a risk assessment and analysis. In this activity, each team member identifies and ranks risks associated with the records management initiative. Examples of risk include employee willingness to adapt to changes associated with new processes; the IT infrastructure created by new records or document management software; relationships between outsourced vendor services; complexity of the initiative; and availability of staff to participate. 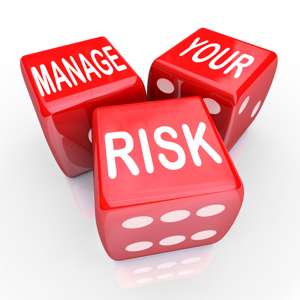 The risks are then analysed and documented within a risk management plan. A risk management process is defined that will enable the team to manage risk throughout the life of the project. Establishing quality assurance and control mechanisms. Quality assurance and control ensures that work performed by the project team will meet the requirements defined within the vision and scope statements. This activity includes defining performance metrics that can be tracked throughout the life of the project. A feedback loop should be established that enables continuous improvement of the deliverables the team is producing. For example, if the project team is developing an educational module that will be used to train employees on the basics of records management, then a quality consideration would be to pilot the training with a sampling of employees. This pilot could include validating that training objectives were achieved, that the length of the training was adequate and that the delivery mechanism was effective. Developing the project budget and associated cost-control mechanisms. Managing costs for a records management initiative includes considering costs associated with staff assigned to the project, outside resources brought in to assist with development and/or deployment efforts, technology purchases, storage facilities and any other activities or resources directly associated with the initiative. 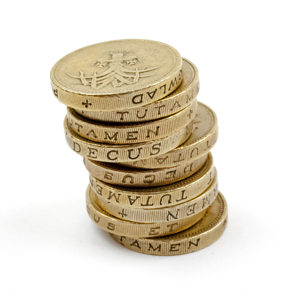 The manager should define a structured process for tracking, reporting and managing these project costs. Establishing change management procedures to control project scope, schedule, cost, quality and resources. Defining how to manage change associated with the record retention schedule is one example for the project team to consider. The retention schedule is a legally binding document, one which must be maintained using a structured process. A structured process could include instituting a "change board" responsible for reviewing and deciding upon the relevancy of change requests. 1. Implement a "no-surprises" philosophy. These planning activities are best accomplished by a team comprising individuals from across the organisation. This team works together to produce the specifics for each of the bulleted activities listed above and then captures the information within a document known as the project plan. The project plan defines the specific work activities needed to fulfil the scope of the records management initiative. Once finalised, the project plan includes definition of roles and responsibilities, the schedule of activities, identification of risks, a process for monitoring and controlling the project's activities and deliverables and a change management process. Members of the working group and steering committee approve the project plan. When the planning process is complete, the project plan is considered to be baselined and the executing process begins. During the executing process, the records management project team performs the work activities defined within the project plan. Up to this point, the focus has been on establishing plans, securing approvals and coordinating initial efforts. Now the team rolls up its collective sleeves and completes the activities that will enable the project scope to be achieved. These activities are defined within the project plan and could include developing or updating records management policies or preparing for and deploying new technology. It is the project manager's responsibility to monitor day-to-day activities against the project schedule, coordinate resources, track progress and facilitate issue resolution. The controlling process runs concurrently with the executing process and it monitors project execution. This component includes developing and distributing progress reports, managing corrective actions, evaluating project performance, managing change, monitoring quality, reviewing risks and adjusting project schedules or plans as required. It is important for the team to establish a feedback loop that enables members to share their issues and concerns. This feedback loop may include status reports provided to the project team and to the steering committee. Continuous communication enables everyone to stay focused and provides a forum to highlight any issues, decisions, or corrective actions as needed. Functional team members should, in turn, report progress back out to their corresponding group. This will help build awareness for the records management initiative. It will also enable continuous improvement and assist with managing organisational change. When all of the activities defined within the project plan have been performed and the scope has been realised, the project has reached its end state and the closing process begins. Closing the records management initiative includes reviewing the final deliverables with executive leadership and securing their acceptance and approval for the outcome of the project. For example, if the project included deploying new records management policies, then an initial compliance report could be part of the closing review. An executive summary included in the initial compliance report might display the list of departments involved along with the results of their initial compliance audit. There are several other administrative activities associated with closing a project. Administrative activities include closing out contracts for outside services, conducting lessons-learned sessions with project team members and their respective departments, developing recommendations for continuous improvement, closing out project-specific financial accounts, archiving project data and publicly recognising the project team. Many of the problems encountered while establishing or maturing a records management programme can be prevented by using sound project management tools and techniques. Project management provides the structure and methodology to enable successful initiation and completion of a records management initiative. Using project management is just one of the enablers for a successful project. Managers can use behavioural change management techniques to help deal with employee resistance that can occur when a new records management approach is implemented. Senior executive emphasis on employee communication and education provides the tools - and buy-in - that a records management initiative needs to be successful. A Guide to the Project Management Body of Knowledge (PMBOK Guide), 3rd Edition. Newtown Square, PA: Project Management Institute, Inc, 2004. (accessed 31 January 2006). Cheryl L. Strait is a principal consulting manager at Robbins-Gioia, LLC. She has more than 20 years of experience in business management, including significant experience in project management, process re-engineering, Organisational change management and records management. © 2006 by ARMA International. The Information Management Journal is a publication of ARMA International (www.arma.org), a not-for-profit professional association and authority on managing records and information. © 2006 Cheryl Strait [Robbins-Gioia LLC] (ARMA Information Management Journal). Reprinted with permission.